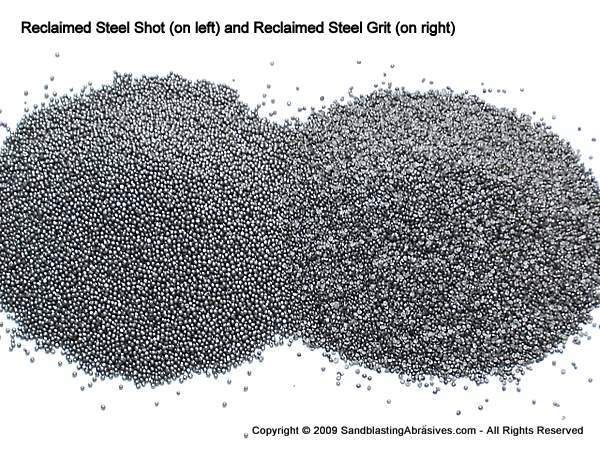 Reclaimed (used) steel grit and shot is available for purchase. Clients who previously were purchasing new material, are now switching to reclaimed, due to the rapidly rising scrap surcharges. Our reclaimed material has no added scrap surcharge, and is hundreds of dollars per net ton cheaper than new material. NOW OFFERING SPECIAL PRICING per ton to any Bridge Blasters that use G80, G50, or G40 Steel Grit (or Blends) in truckload quantities! Please use our RFQ form at top of page to request a quote. If required, our material can come in DOT Drums. This material was originally new Ervin Material (virgin steel grit). It comes from a Metal on Metal blasting operation. Material is screened/cleaned/ran through dust collectors and meets or surpasses all SAE specifications….Chemistry is the same as well. Additional details on the product page below. Due to the heavy weight of this material, you cannot purchase this material online. A custom freight quotation is necessary. Please use our Quote Request form.